In the real world, these outfits would be a mother's worst nightmare. No snap inseam = diaper changes that take an hour. 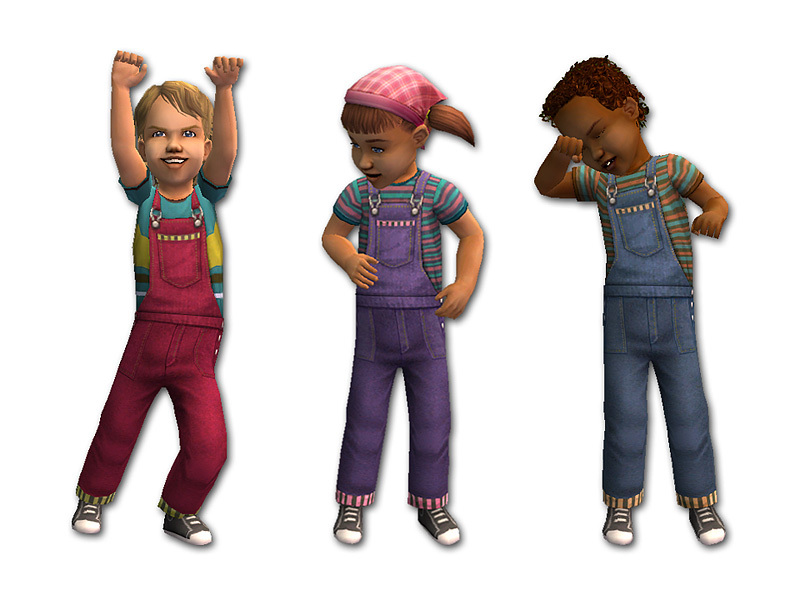 But since your Sims solve that problem by just throwing their stinky kids in the air, they'll probably like these outfits for their toddlers. 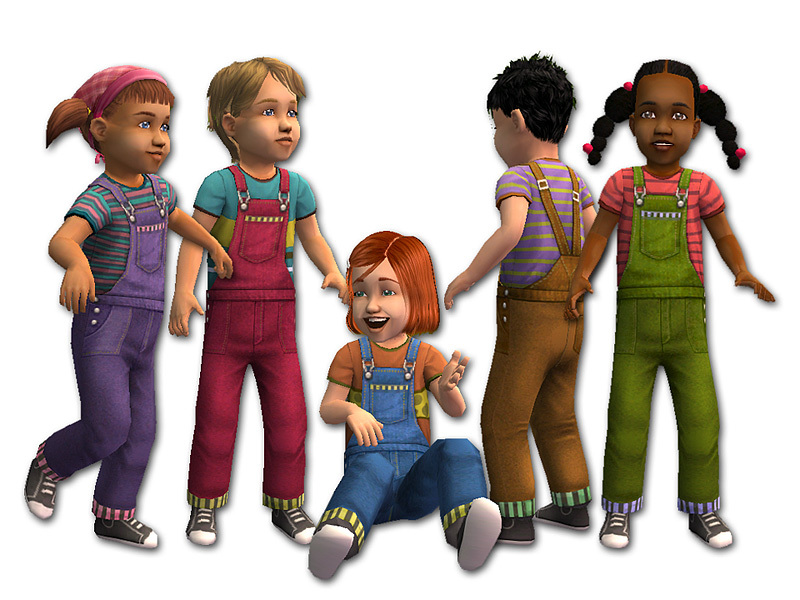 The outfits come in six different colours. 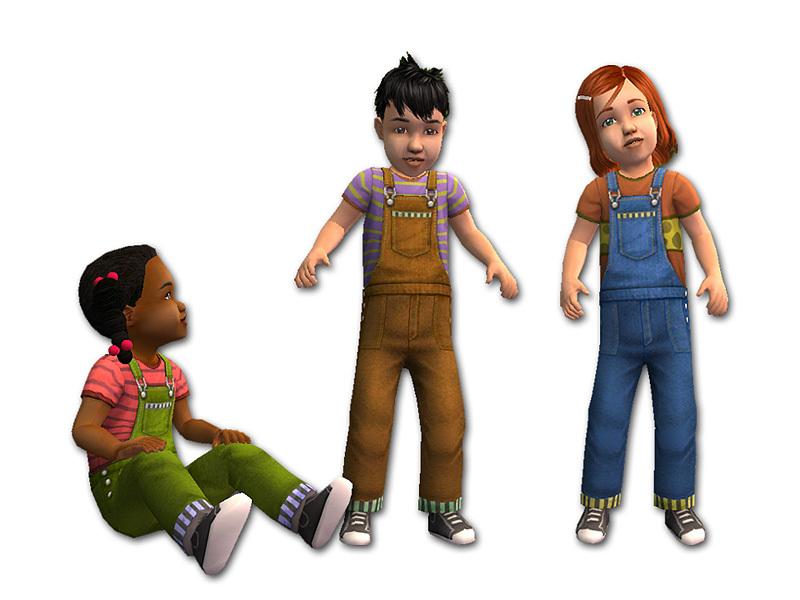 Each outfit has a pair of comfy overalls over a brightly coloured t-shirt and some soft sneakers. All of the outfits are unisex. These are set as Everyday. The mesh is included in the zip file. Thanks to fanseelamb, RAONJENA Sims, SimModa, LoveTheSims04, HystericalParoxysm, and Maxis for the hairstyles. 1145 people have said thanks to fakepeeps7 for this download.